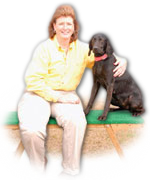 Are you tired of nasty flies around your kennel constantly bothering your dogs and causing health problems? Want to avoid the ear biting, spraying, swatting, fly days of summer? Then consider the better biological solution, Spalding Fly Predators. By simply sprinkling a small bag of these tiny Beneficial Insects on your dog poop areas just as the weather turns warm you can prevent flies from ever becoming a nuisance. Then by continuing to release Fly Predators monthly through the summer you'll keep the fly population under control. The tiny Fly Predator beneficial insects are the natural enemy of flies, but never bother people or animals. Many of our customers say they hardly see a fly all season. For best results you want to start before flies are bad. Fly Predators eliminate the next generation of pest flies by means of natural biological control. Unlike pesticide sprays that only affect adult flies (who likely have already laid hundreds of eggs insuring more flies in 10 days) Fly Predators target the pest fly pupa (cocoon) stage killing the immature flies before they can bother you and your animals or reproduce to start the cycle again. Using Fly Predators completely avoids any of the potential adverse side effects associated with pesticides. Just reading the warning label on almost any fly pesticide or repellent is perhaps the best advertisement for biological control. By contrast there is no warning label for the species in Fly Predators and in more than 42 years of commercial use no known adverse effects. Nothing could be easier. Once a month spend a few minutes sprinkling Fly Predators out of the bag they come in. You put them near all areas where there is (or was) fresh manure and any areas that are constantly wet. Just getting them close to these fly breeding areas is good enough as they self distribute up to 100 feet away. Typically you need 300 Fly Predators per dog every three to four weeks during warm months. With a cost ranging from $3.00 to under $2.00 per thousand, depending on shipment quantity with a minimum of 5,000, the cost per animal is minimal while the resulting benefits are substantial. For many Fly Predators often cost less than all the other things they did before for flies. For four decades Spalding Labs has supplied Fly Predators to animal owners nationwide. Most customers renew, year after year, once they have tried Fly Predators. The comments throughout this catalog are a small sampling from our annual “Report Card” where we asked all customers to rate how their Fly Predators were working. You can read thousands of other customer comments on our website including those closest to you. Many were skeptical (as you may be) that such a safe, easy and inexpensive product could work so well. Just try them for one season and you'll likely use them as long as you have your animals. Once you get used to not having flies, it's hard to put up with them again. One call or easy online order is all it takes to schedule a full season of monthly, pay as you go, shipments. Don't delay! The best time to start is before you have a bad fly problem. If you need to cancel, you can do so at any time. Fly Predators can be started after you have flies, but since Fly Predators stop the next fly generation, you'll have to put up with the flies that were around before Fly Predators arrived for about a month until they die off.